How are we helping people today? Where are people choosing to holiday? What's happening on the Riviera? Please select dates for rates & availability. Why people book with us? Our team approves and verifies each property on our site. That means there are no surprises and all rentals are exactly as pictured. We provide complimentary holiday insurance which will cover you in the event of cancellation due to emergency and in case of accidental damage to the property. We know carrying cash on arrival is both a security concern and an inconvenience. As a result, no damage deposit is payable on all of our rentals. Generally, you can secure your rental with a 30% deposit or over several interest-free monthly instalments. Our local team are at your service night and day, before, during and after your stay. Floor Space › 350 sq.m. This impressive, newly constructed property is located in a gated, private domaine just 5 minutes from the picturesque village of Mougins. South-facing terraces overlook a large heated swimming pool flanked on all four sides by broad bathing terraces and stunning landscaped gardens. The villa is surrounded by expansive countryside providing beautiful views from the terraces. The property also includes a spacious outdoor seating area, a boules court and table tennis facilities. The entrance floor of the villa consists of a spacious, open plan living area with an adjoining piano room, a television with international channels and access to a south-facing terrace through elegant French doors. A semi-professional kitchen overlooks a large dining area while also connecting to an outdoor dining room offering a number of service options. One bedroom is also located on this floor with a queen size bed, ensuite and direct garden access. Four of the remaining five bedrooms are located on the upper floor. The master bedroom is fully air-conditioned with an ensuite bathroom and dressing room and access to a private south-facing terrace overlooking the gardens, pool and beautiful surrounding countryside. Three further bedrooms, all furnished with queen size beds, ensuite shower rooms and substantial storage are also located on this floor. The sixth bedroom with a double bed is located on the lower floor and has access to an ensuite shower room. Four hours maid service five times per week is included and the property has parking for up to ten vehicles. Pets are also welcome. For a relaxing countryside break in the peaceful serenity of a private domaine while being able to access the more lively areas of Cannes and Mougins within 15 minutes, this property is perfect for making the most of all the region has to offer. Located in a gated domaine in the quiet residential area of Castellaras, this beautiful villa is surrounded by peaceful countryside with rolling views as far as the eye can see. The charming French village of Mougins, renowned for its narrow winding streets in their characteristic snail’s shell shape is located near this property and the centre of the old town can be accessed in just 5 minutes by car where you can sample the local cuisine in a number of good quality traditional restaurants. 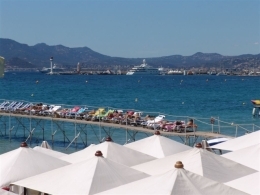 The lively coastal town of Cannes is just a 15 minute drive from the villa or alternatively, a number of buses operate daily between Mougins and Cannes. The region’s main airport in Nice is just 20 minutes away and can be easily accessed using the motorway. Street view is provided to give you a feel for this neighbourhood in Mougins. Drag street view to look around or click the map to change your position. If you are undecided, please talk to us and we'll provide any additional information you require on this villa. Need more information about what's in the villa, the villa's location or just want to chat with us about whether this villa is really suitable for you and your family, contact us and we'll help you find your perfect holiday rental. online so click to start chatting with an expert now. Hmmm, I'm not sure, could you show me some more options? 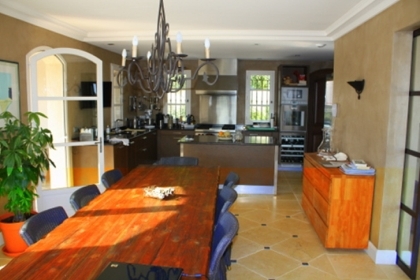 You are currently viewing a 6 bedroom holiday rental villa in Mougins. You could also view all holiday rentals in Cannes, or just those in Mougins. This villa features a balcony and a garden. You could view all villas with a balcony or all villas with a garden. Alternatively, you could view all other holiday rentals in this price range (any price per night), or you could view all our rentals across the French Riviera. 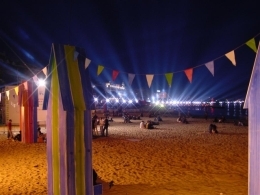 Copyright 2006-2013 © Riviera Rental Guide Ltd. All rights reserved.